So I've running out of my face mist then I decided to restock. But the laziness block me from stepping out from my bedroom. 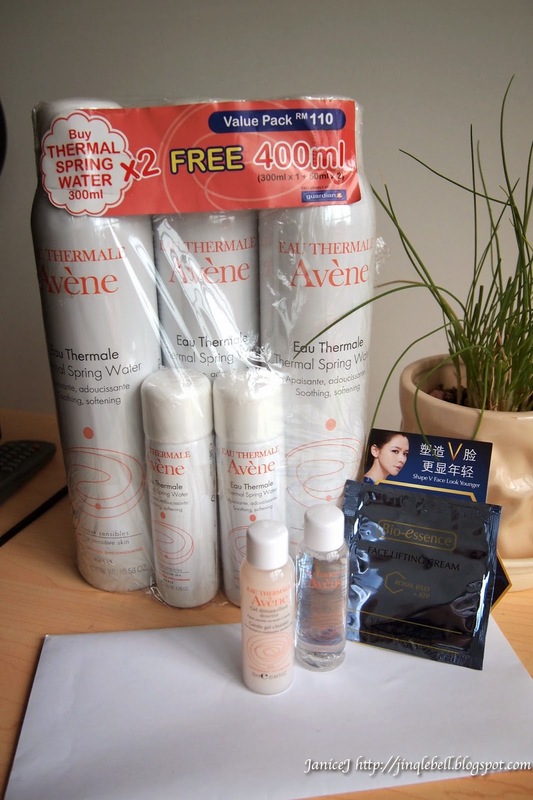 Housemate has been telling me about the 3 bottle promo pack Avene thermal water mist she got at RM110 from SASA/Guardian/Watson. Then I decided to try my luck browsing Guardian online e-store. 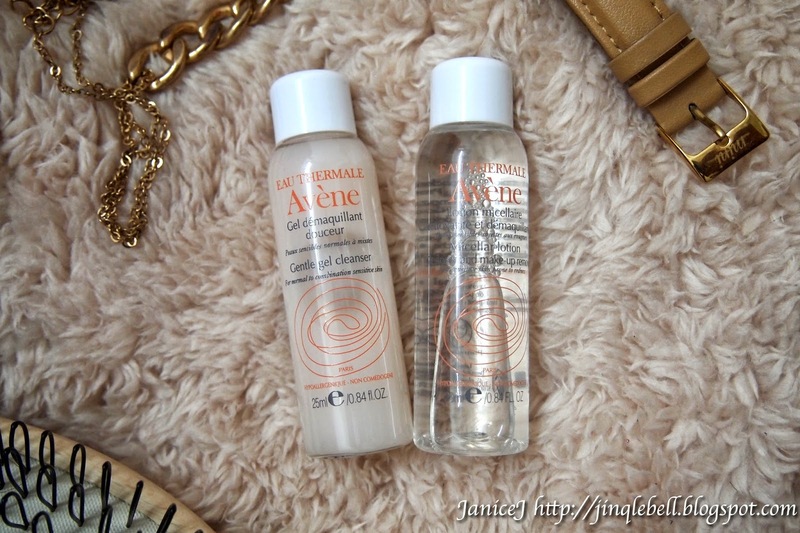 Upon browsing, I've come across the Avene face mist. Two 300ml bottles + free one 300ml + free two 50ml at only RM89.99! That's a total of 1000ml of face mist. The original price for the value pack is RM110 (as stated) but I've got mine for only RM89.99! Other than that, I received a free Avene travel set worth RM19.80(consisted of one gentle gel cleanser and makeup remover) and one Bio-essence V shape face lifting cream. I can say that it is a lot more cheaper compared to buying them from the store (without free gifts some more!). I've only seen the 300ml x3 + one 50ml + face mask sheet in Guardian or 300ml x 3 + one lip balm in SASA selling at a price of RM110. Well the only thing I would brag about is the shipping fees. Normal shipping will cost RM7 unless you spend RM200 and above then they will deliver your products for free (for Peninsular Malaysia). I'll have to pay RM7 but it is still cheaper(RM89.99+RM7) than buying in store(RM110). Products is received in a hard card box with bubble wrap around! The shopping experience is indeed quite pleasant, with fast delivery. I dropped my orders on Sunday evening and it takes two days for the products to arrive at my doorstep by GDEx on Tuesday. They offers lots of payment methods so it will surely fit yours! For the month of April, Guardian e-store are having promo of giving instant RM10 off from your total bill when you spend a total of RM100 and above with the code: GDNECOMRM10, plus a FREE welcome gift worth more than RM15.